The nation is overcome with panic as all of the dead suddenly come back to life, searching for human flesh to devour. A group of individuals searching for safety are followed on their journey to an abandoned farmhouse in attempts to remain protected, but their attempt begin to dissipate as zombies find their way inside. 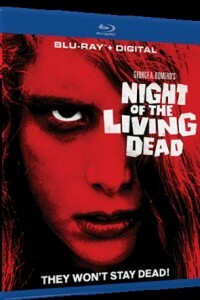 George A. Romero’s cult classic returns for it’s 50th Anniversary. The indie horror masterpiece changed movies and the genre forever with its gleaming gore and terrifying twists. Restored now in High-Definition, prepare for the frightening tale of five strangers struggling for survival against the walking undead. They’re coming to get you…again!